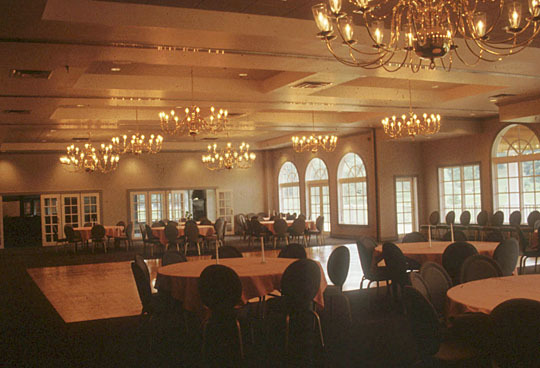 The official opening of the clubhouse was in May of 1989 and was given the Orange County Board of Realtors, “Architectural Award of Excellence” for Best New Commercial Building in 1989. The new 20,000 sq.ft. 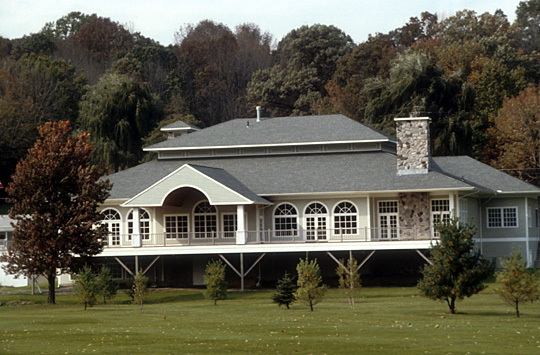 clubhouse was situated to take advantage of the dramatic views of the surrounding golf course fairways and mountains beyond of the Harriman State Park system and West Point Military Academy. 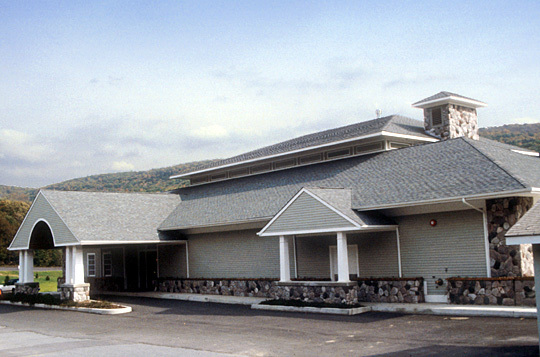 In keeping with the areas architecture, wood siding, hipped roofs, wide overhangs and the liberal use of stone help to reflect the warmth and strength of nearby park system buildings and give this new structure a strong sense of permanence. 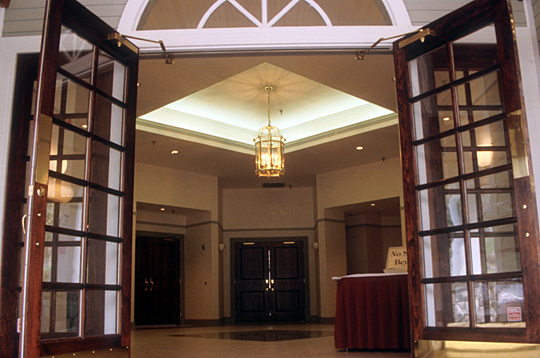 This building was designed to serve the general public with a catering service on the main level while the lower level was designated entirely for the golfers. 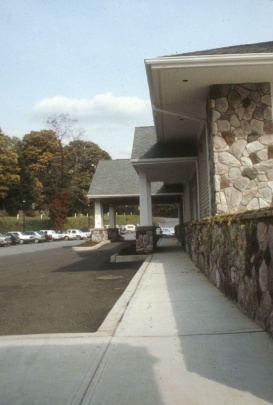 The building was cut into a natural slope to allow grade level entry to both levels. 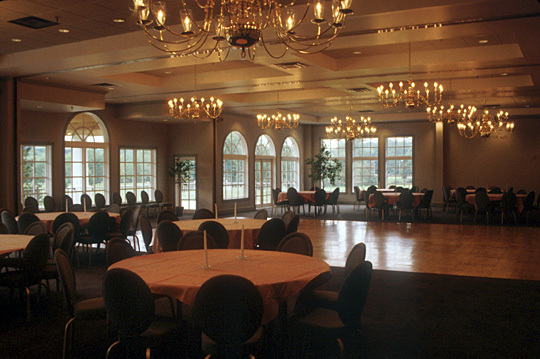 A commanding view of the fairways and mountains beyond can be seen from the catering hall, cocktail lounge and expansive deck on the main level and also from the club room bar and restaurant at the lower level.